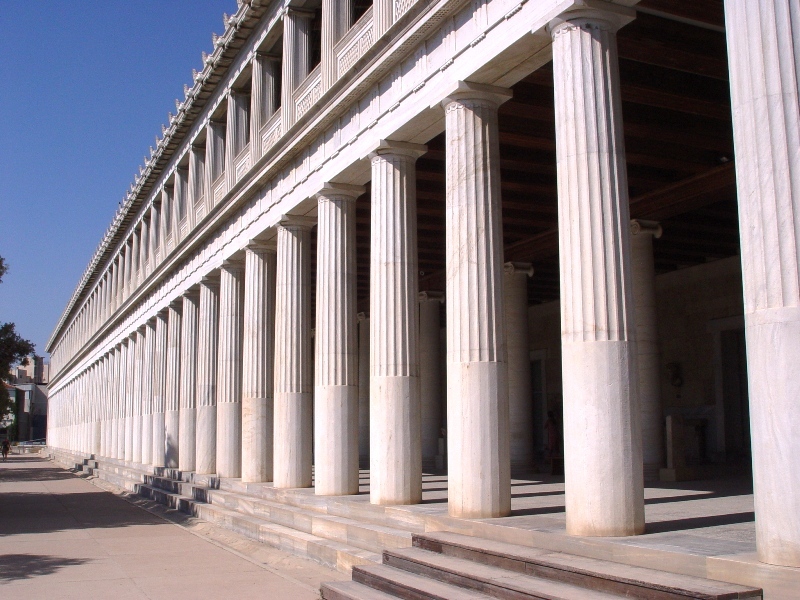 Today’s post features the Athens Temple of Hephaestus. Hephaestus was the mythical god of forging and metal working, the god of blacksmiths. 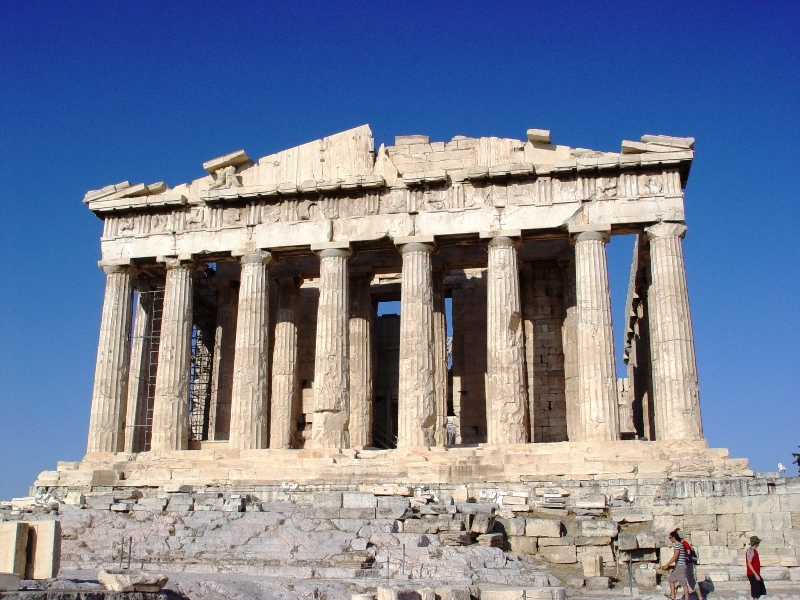 Construction on the temple was begun in 449 BC, and was completed 415 BC. 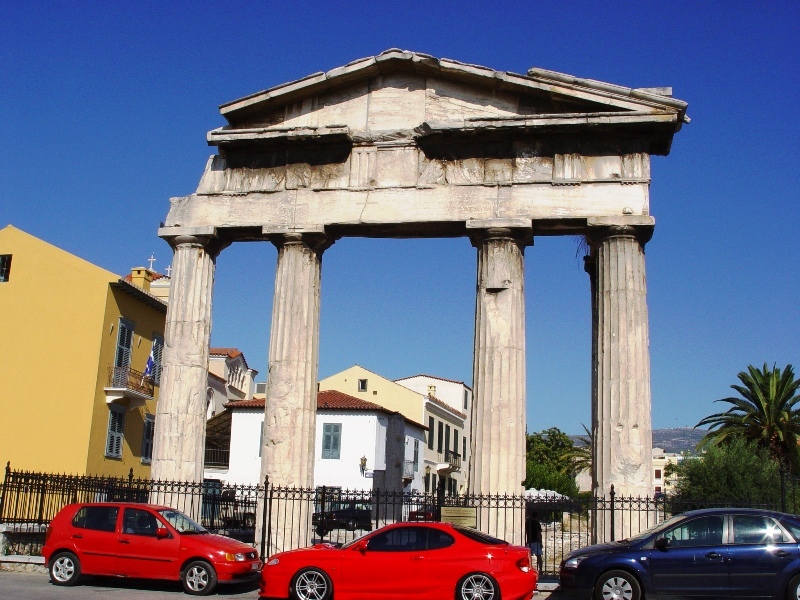 It is a Doric style temple, made of Pentelic marble, and is located on the northwest side of the agora. 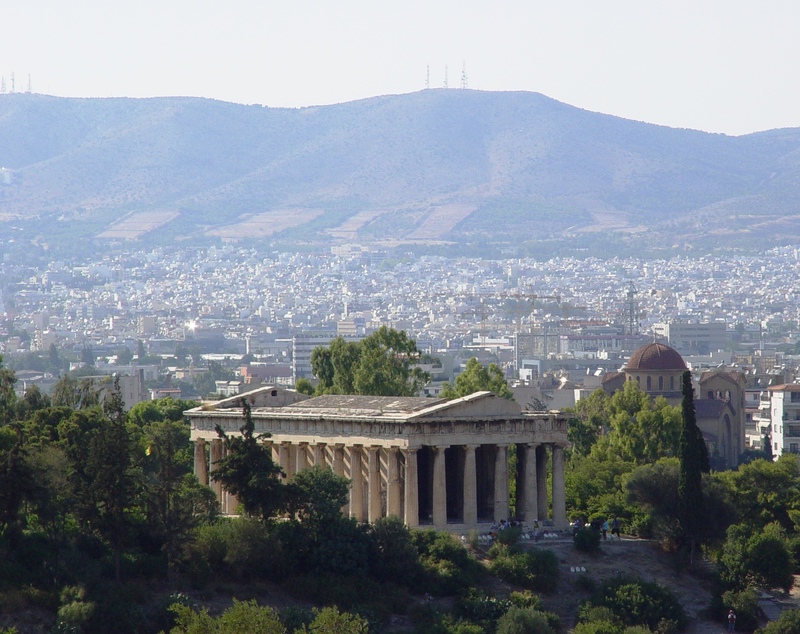 Athens Temple of Hephaestus. The god of forging. Photo by Leon Mauldin. This temple is said to be the best preserved ancient Greek temple in the world. It would have been prominently overlooking the agora when Paul preached in Athens (Acts 17). In Birmingham, AL., known in the past as a major steel producer, the Vulcan stands atop Red Mountain (largest cast iron statue in the world). Vulcan is the Roman equivalent to the Greek Hephaestus. The word vulcanize comes from his name. Click on image for high resolution. 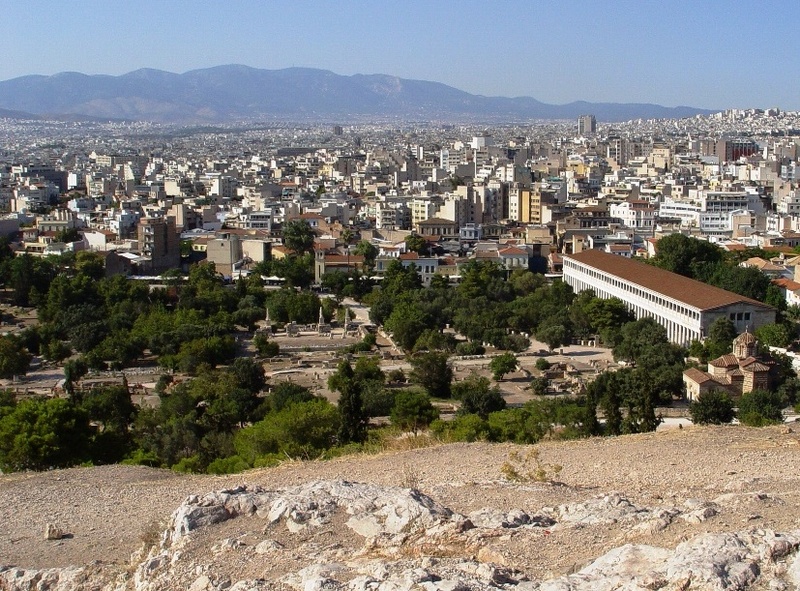 Our previous post referenced the Apostle Paul’s preaching in Athens as recorded in Acts 17:16-34. Up from the Areopagus was the Parthenon. The Parthenon was the temple devoted to the virgin Greek goddess Athena, of Greek mythology, goddess of wisdom and the arts. The Parthenon in Athens. Photo by Leon Mauldin. 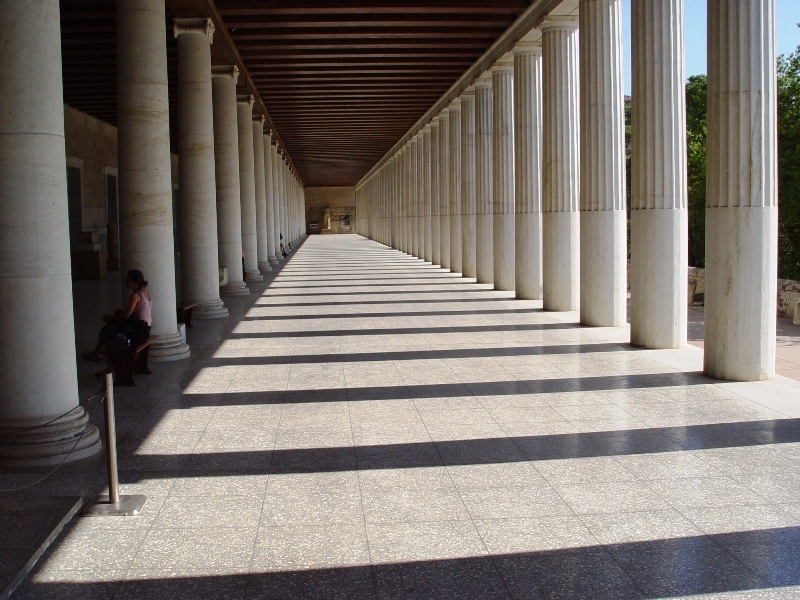 This temple was constructed with eight Doric columns in front and rear, and seventeen along each side. 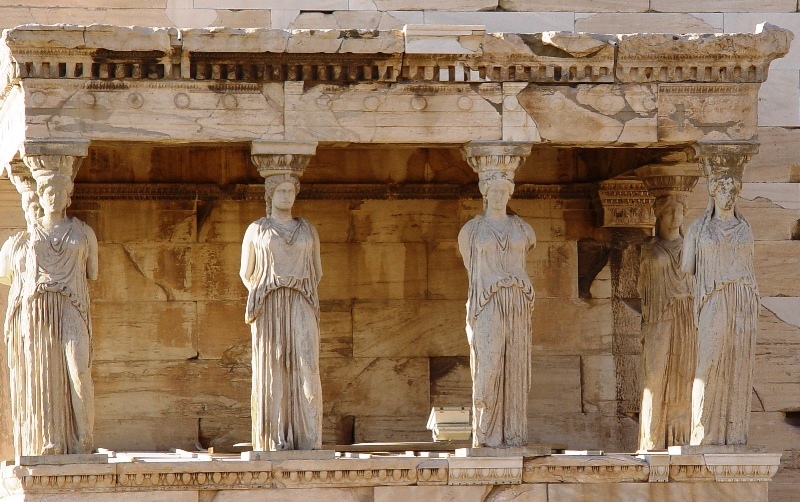 Within the Parthenon stood a thirty-four feet high statue of Athena, built by the sculptor Pheidias. It was made of wood with ivory additions and a plating of gold. The God who made the world and everything in it is the Lord of heaven and earth and does not live in temples built by hands. Nor is He worshiped with men’s hands, as though He needed anything, since He gives to all life, breath, and all things. 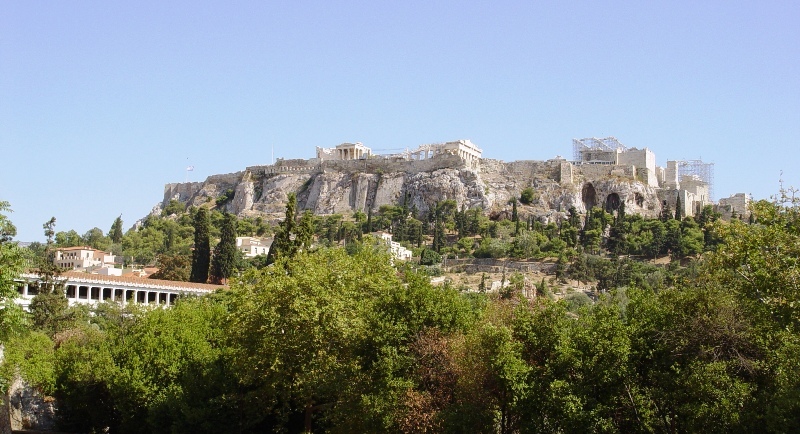 We plan to continue with more of the sites in Athens. My friend & fellow-worker Ferrell Jenkins is currently directing a tour in Egypt. To keep up with their travels, and see the photos to be posted, see Ferrell’s Travel Blog. Link is provided to your right under Blogroll. The word Areopagus means “Rock of Ares.” Ares is the the Greek god of war. Pagos is “rock.” The word Areopagus is used both with reference to the ruling council of Athens, as well as the place where the council met. 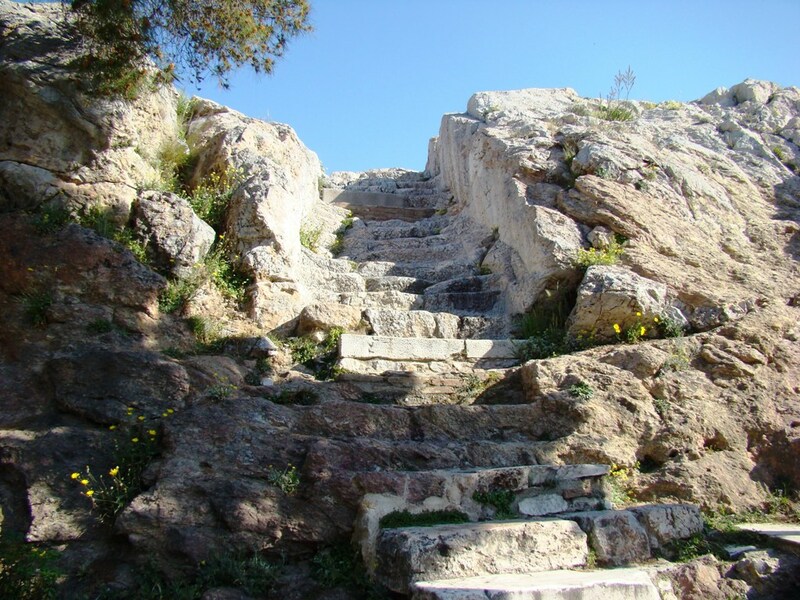 Our photo shows the steps leading up to the Areopagus. Steps leading up the the Areopagus in Athens. Photo by Leon Mauldin. 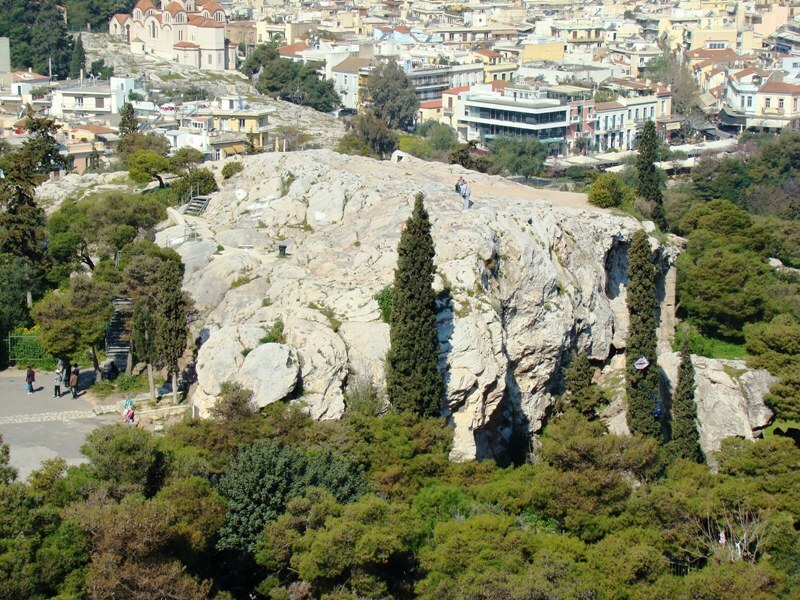 The Areopagus is also called “Mars Hill.” Mars was the Roman god of war. Photo below shows a few of my group on the top of the Areopagus. 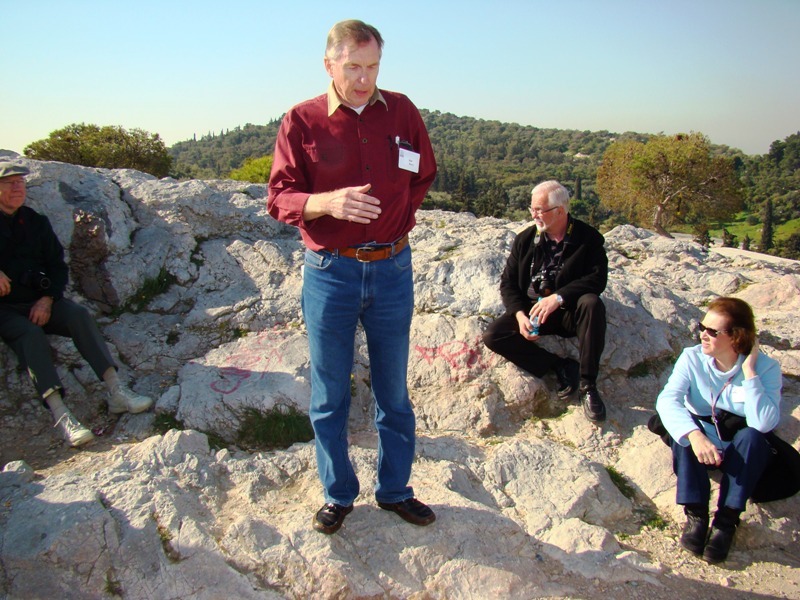 Bob Berry, center, quoted Paul’s sermon preached here (Acts 17). Areopagus. A few of our 2010 tour group. Photo by Leon Mauldin. The Areopagus is composed of marble. It is worn quite slick in places, so be careful of your footing if you have the occasion to visit. Areopagus in Athens. Photo by Leon Mauldin. The shot above was taken from near the Parthenon. You are currently browsing the Leon's Message Board blog archives for January, 2011.